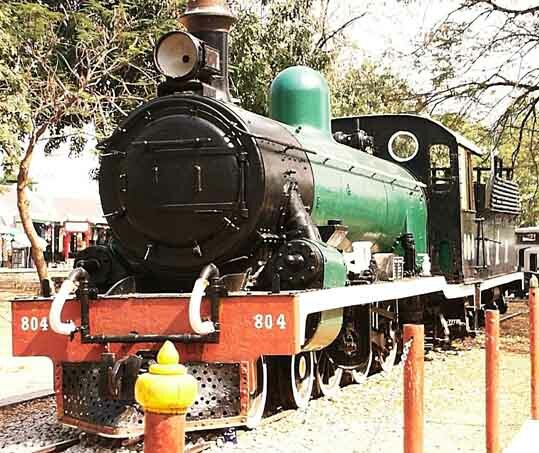 Pictures taken in February 2003. 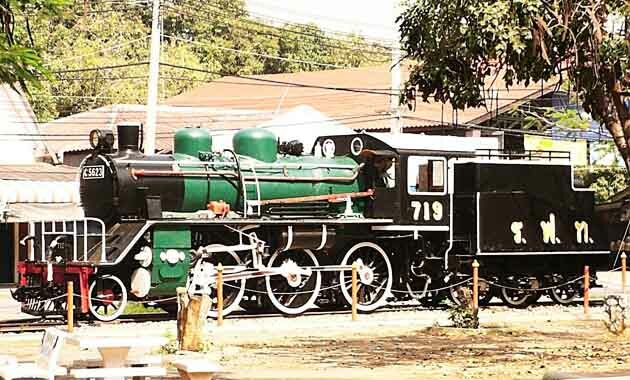 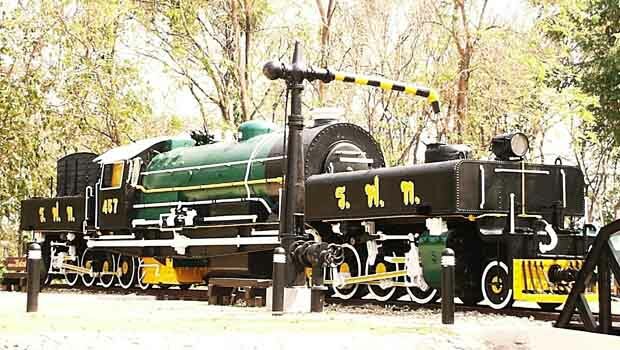 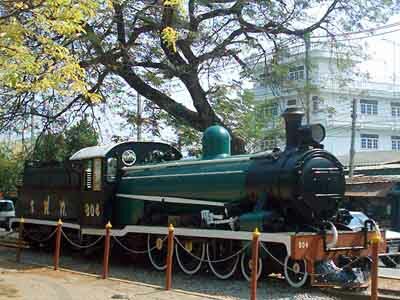 Below: 2-8-2+2-8-2 garratt 457 is displayed adjacent to a car park opposite the allies war cemetary in Kanchanaburi. 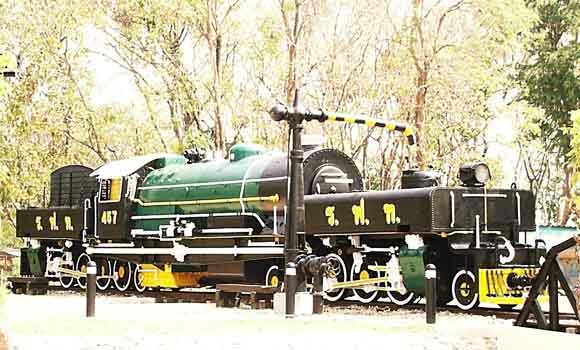 Below: 4-6-2 804, formerly Malayan Railways P class, later 521 class, is displayed between the River Kwae bridge and station. 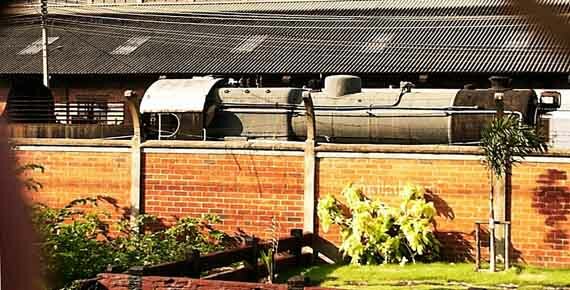 Below: 2-6-0 719, formerly JNR C56.23, is also on display between the River Kwae bridge and station. 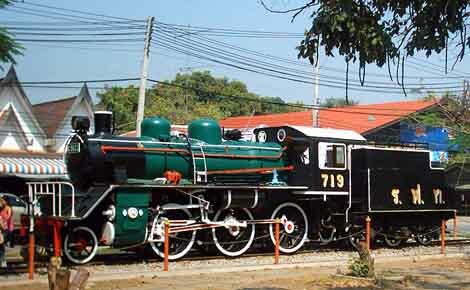 4-6-2 278 is stored behind the works wall at the west end of Makkasan station. 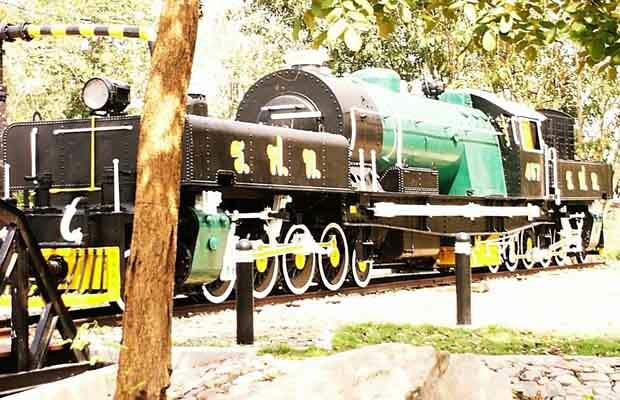 2 other locos were partially visible, one was 65 and the other unidentified.